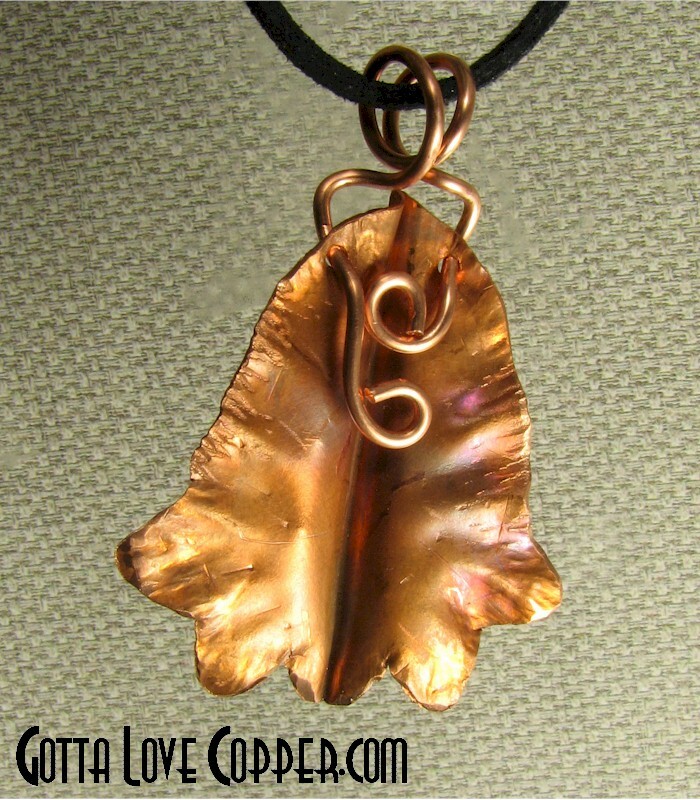 I called this a Fantasy Leaf because I made up its shape, and I couldn't find a real-world lookalike. If there was a real leaf that looked like this, it'd sure be pretty! This pendant is 1-5/8" high (exclusive of the bale) and 1-3/8" wide. You are visitor number 1,858 to this page.